You see that? 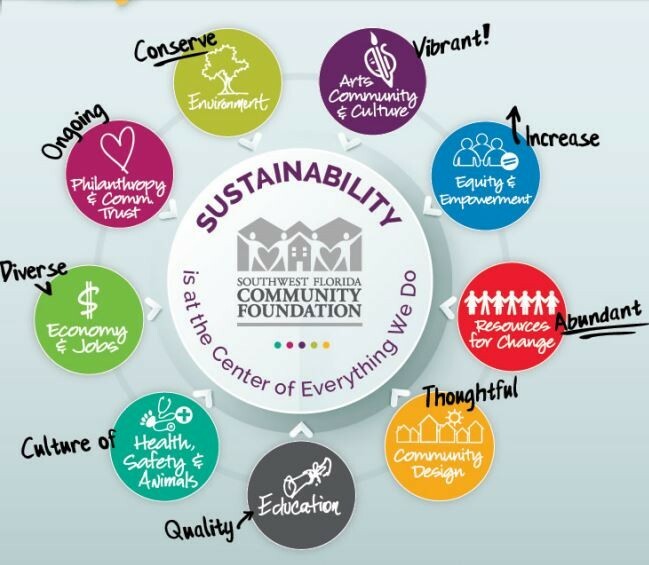 “Sustainability is at the center of everything we do.” As Ms. Owen writes, We are charged with doing things ‘For Good, For Ever.’ Sustainability means, then, undertaking initiatives that make the community stronger, more vibrant and more engaged, to those initiatives can be carried forward in…you guessed it, a sustainable manner. Sustainability is not green roofs, rainwater catchment and reuse, low-impact design and walkable cities. It is to the extent such strategies can be put to use to provide solutions for better living long into the future. You can click here for a pdf of the Southwest Florida Community Foundation’s Winter newsletter or view it online here. 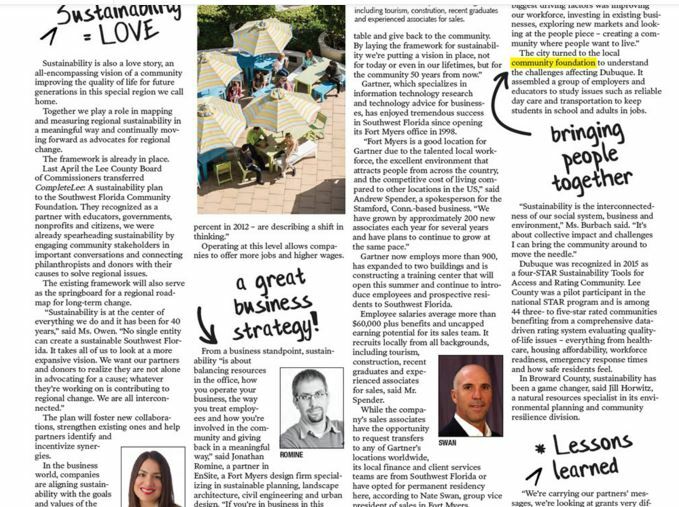 In it, community leaders of every description come together to talk about what a more sustainable Southwest Florida will look like. Go ahead and hug a tree, if you want. It’s a nice thing to do. But then let’s keep the conversation about sustainability going. We’re all in it together.